The Twistfix wall starter staple is suitable simul­ta­ne­ously tying both leaves of a cavity wall extension to an existing building structure. 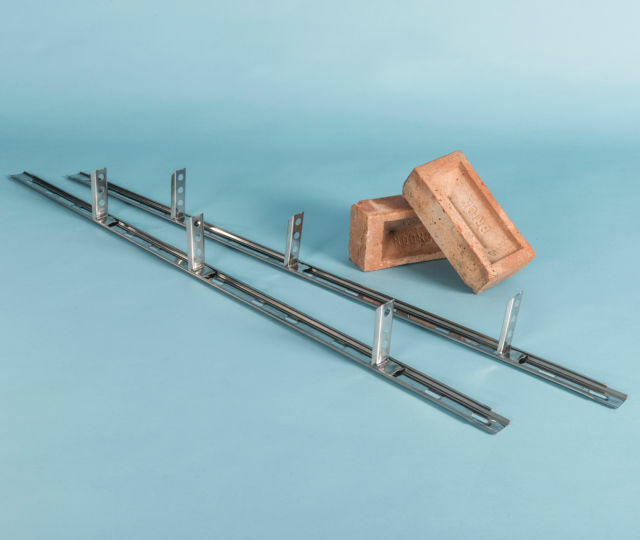 The stainless steel staple ties are suitable for use in tying new brickwork and blockwork, of up to 3 storeys or 8 metres in height and with a cavity width of 75mm to 125mm. Drill pairs of 8mm holes 240mm apart into brickwork at angle every third brick course, or every block course. Insert legs of the staple tie into holes before set of grout and then bend down to suit brick or block coursing. Lay bricks, blocks or stone in usual way. 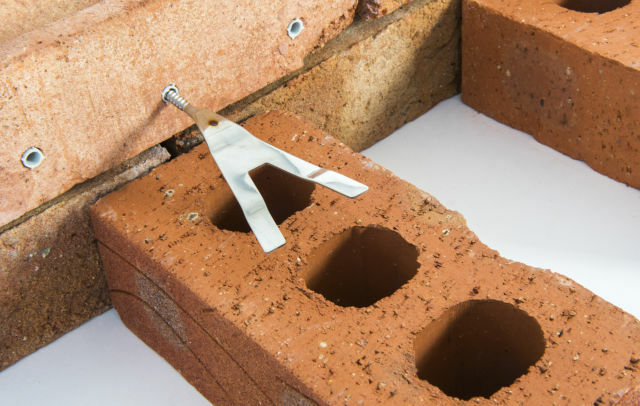 Produced from cold rolled 304 grade stainless steel and available in a pack of 8, the pack of staple ties are sufficient to tie both leaves of a cavity wall extension up to 2.4m in height. 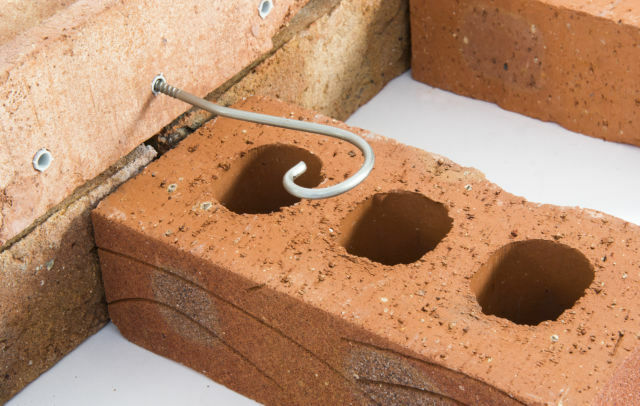 This screw-in starter tie is suitable for tying new brickwork and blockwork extensions, of up to 8 metres or 3 storeys in height, to existing buildings. Supplied in packs of 10 ties & 10 nylon plugs.